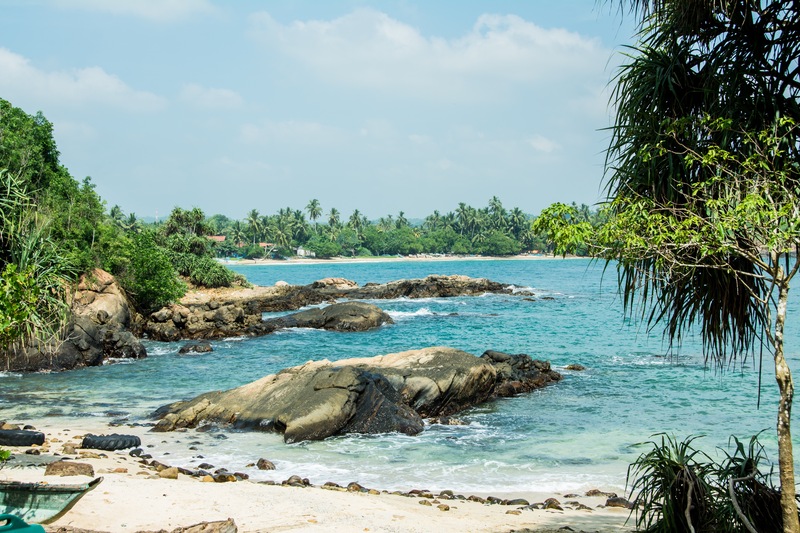 So Sri Lanka is definitely off the beaten path for many travelers, and some of your may be wondering why Sri Lanka, well….when Scott first moved to DC, we started frequenting the Smithsonian National Zoological Park (which is amazing by the way). I loved visiting all the critters and the National Zoo does a great job of having the keepers come out and talk to you about the animals. So one day in 2013, as we were going through the Elephant Pavilion, we learned from one of the zookeepers that they had just acquired a new Elephant named Bozie. Bozie had a long history of moving around to different locations, and had originally come from the Pinnwela Elephant Orphanage. Naturally, I had never heard of an Elephant Orphanage and as we learned more about it, I told Scott that we had to go there one day to visit the elephants; and there you have the reason why Sri Lanka made it on our list of places to visit. The roads are small (mostly being 2 lanes even on “highways” and driving is definitely scary! I really like Sri Lankan food, I’ve seen quite a bit of both Chinese and Indian influences in different dishes, YUM! If you have never seen an elephant running around in the wild wrestling, playing in the water, or rolling in the mud you have been missing out! So here are some things you should consider before you head out on your trip to Sri Lanka. 1. Tour Company or on your own? As you can see from our previous trips, I don’t always use a tour company to book the entire trip. However, with all the places we wanted to go in Sri Lanka and the limited amount of time we had in the country, I knew we would need reliable transportation and there was no way I was driving myself. As I started looking at the other modes of transportation, trains, buses, etc, there wasn’t any convenient or comfortable options. So our itinerary basically led us to book everything through a tour company and I will tell you that I am so glad we did, it made the trip stress free and very enjoyable. I had researched quite a few tour companies online and emailed them to get quotes, however, we ended up booking through PL Tours. From the first email, William was very helpful and never told me “no we can’t fit that into the itinerary.” He gave good suggestions and told me what could realistically be done, but also tried to help me book the best trip possible. His pricing was also very competitive and if you want to spend less, you can change your “room type,” we opted for standard instead of budget and it was only a little more. With the competitive pricing and great reviews online, I felt good about trusting our trip to PL Tours. The main airport that people travel in and out of in Sri Lanka is Bandaranaike International Airport (CMB) in Colombo and we found many flights going in and out of there. There are some other airports in the country, but they are not as frequently used by international travelers. For United States citizens, you will either need an Electronic Travel Authorization (ETA) or you will need to already have a visa. The ETA is good for entry up to 30 days and is very simple to obtain. Go here, choose your language, click “apply”, fill out the form, and pay your $35 fee. Aftterwards, you will recieve an email confirming your application. Your application should be in the system, but I printed out the email confirmation just in case there was an issue and showed it to the immigration official. Once in the arrival hall our driver was waiting with a name plate and whisked us away to our car. As soon as we stepped outside we could feel the heat and humidity, it was a balmy 84 degrees. We had a 25 minute drive to our hotel in Negombo. Even though the beach was about 0.5 a mile away we grabbed some quick local takeaway and then got ready for bed as we had a 630 am start time the next morning. We arrived to Colombo around 6 PM, and were picked up by a driver from our tour company and taken to our hotel which was in nearby Negombo (about 20 minutes by car). The airport was really the easiest and most convenient place to exchange money, our guide told us not to exchange money at banks as they give a very low rate. When we first started our trip, our guide stopped by a gold jewelry shop and exchanged money there and the rate was even higher than our currency app, but I wouldn’t recommend randomly walking into shops inquiring about money exchange. We found the airport exchange to be “in the realm” of an acceptable rate. Most places did not accept credit cards, and I would be wary of using my credit card in some establishments, so make sure you get some cash. A service charge is usually added to restaurant and lodging bills. Keep in mind that if you do not receive good service, don’t feel pressured to tip, even if you feel they are expecting it. Taxis: Just round up the total. Sim cards in Sri Lanka are very affordable. Before you go through immigration, there is a Sri Lanka Telecom Mobitel desk that offers 3 GB of data and for 8 USD or 1,000 LKR (but we hadn’t exchanged money yet, so we just paid in USD). There were also places in the arrival hall that sold SIM cards, but from a glance at the pricing, it was slightly higher (but I didn’t look too closely). Here are the items I would make sure that you pack on your visit to Sri Lanka: Sunscreen, bug spray, Immodium, hand sanitizer, toilet paper/small tissue packs. There were a couple temples that we had to cover your shoulders and your thighs, so don’t forget to bring a sarongs/large handkerchiefs (for women). I’ll get into the details of our trip in the next few posts, but wanted to cover the basics. Booking through a tour company made the trip super easy and comfortable. We had a great time, and hope to travel more of Sri Lanka in the future. Check back for the details!